A couple of months have passed now since I finished my first US Status Run. 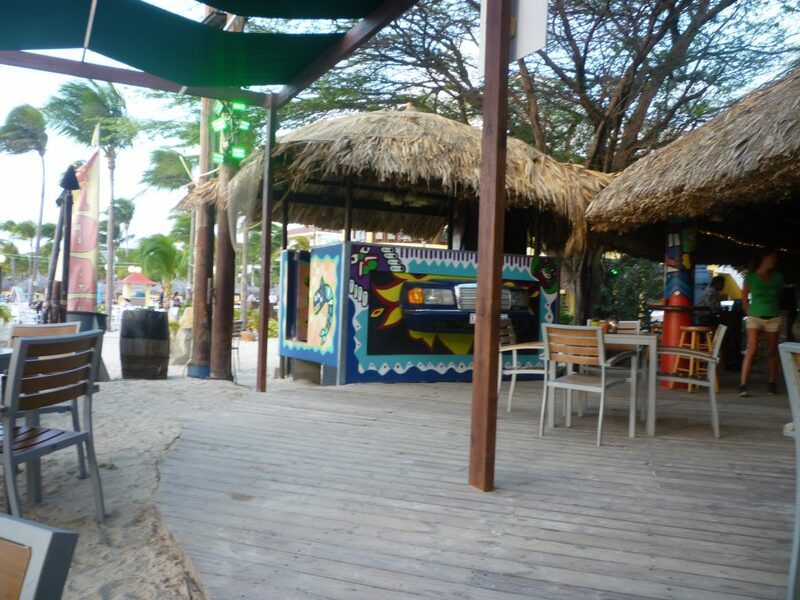 In the first post I was sitting in the Auckland Emperor Lounge explaining the trip to Aruba I was about to embark on and attempting to highlight my reasoning behind it. With this piece I’ll firstly take a couple of steps back to explain the process of how I decided on my final destination and the calculations behind it. After that I’ll go over the events of the trip and review the resulting impact to my Virgin Australia Velocity status level. Along the way I’ll also attempt to highlight how you can make the most of a planned trip to the US and maximise your status credit earn from any internal flights. I had found some very cheap Virgin Australia return economy flights to Los Angeles from Sydney and the dates of my first trip were set. Arrive Los Angeles at 6.30am on a Thursday 3rd March, depart Los Angeles 11.05pm on the Monday after. 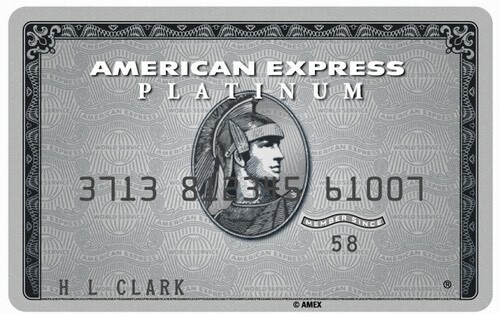 With its raft of Airline options and massive domestic network, the US is probably the best place on the planet to earn quick cheap status credits, and I had 5 days and 4 nights to experiment with and achieve the best status credit per dollar earn rate. The Google flights search engine is easily one of my favourites, particularly in terms of flexibilty of search options offered. Not only can it search through a host of providers to find you the best price for a planned trip on specific days, it will suggest date swap options that can save you heaps and display the daily best price for that same trip in calendar or graph format. 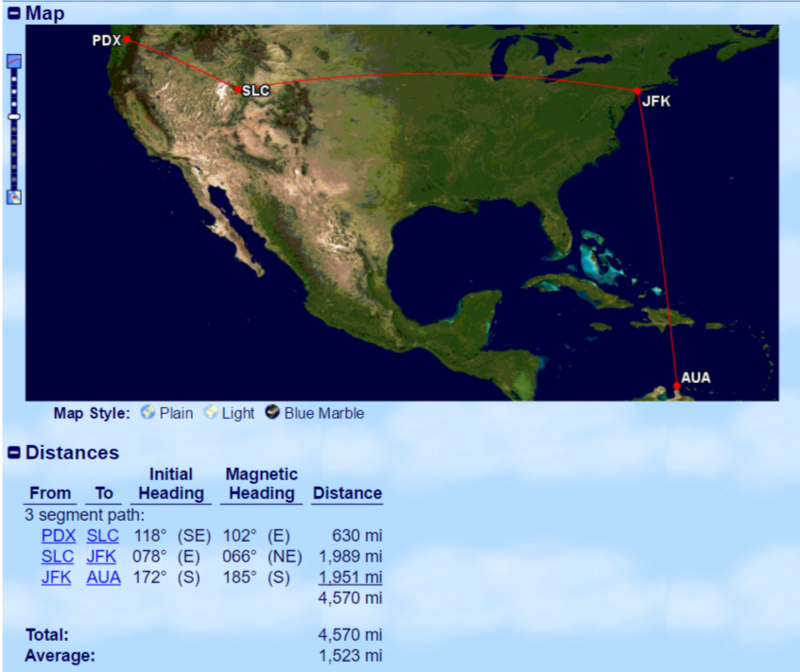 One of the most interesting and fun features is the flight map search function. It offers the user the ability to select a point of origin the view the best priced flight available to any destination within a preferred region, and following the users specific search criteria. This can be handy if you have plans to travel through a particular region (say South East Asia) and just want the cheapest flight without concern over the entry point. 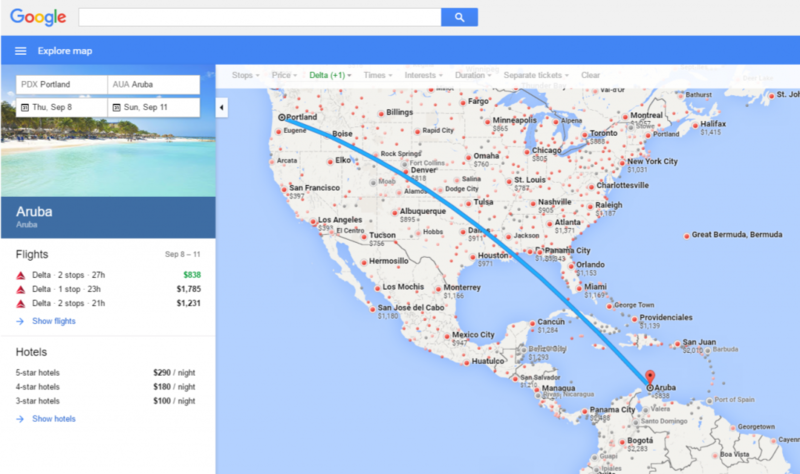 Google flights map will show you the available prices for destinations on a given day, allowing you to choose the option that best fits with your plans. It’s also extremely useful when planning flights through the US when you have no strict itinerary to follow. The first task involved finding a destination for the day I landed. The screen shots used through this are not the actual dates of my travel and are just for example purposes. After inputting the basic search parameters into Google maps, selected Delta and Virgin America as my preferred airlines, and set the cabin class to ‘First’, I inspected the Explore map for best options. 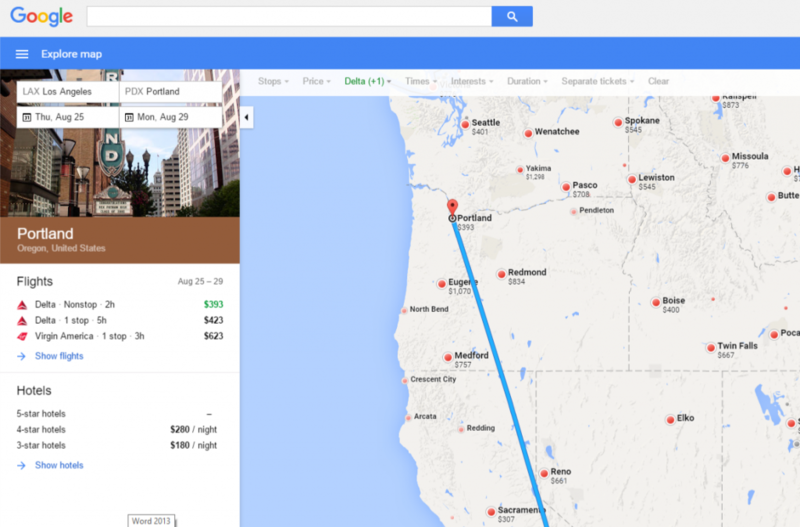 After a bit of testing I found my best option was return flights to Portland. While the direct return flight at US$393 was good value the option was also available to fly via Seattle for US$30 more. 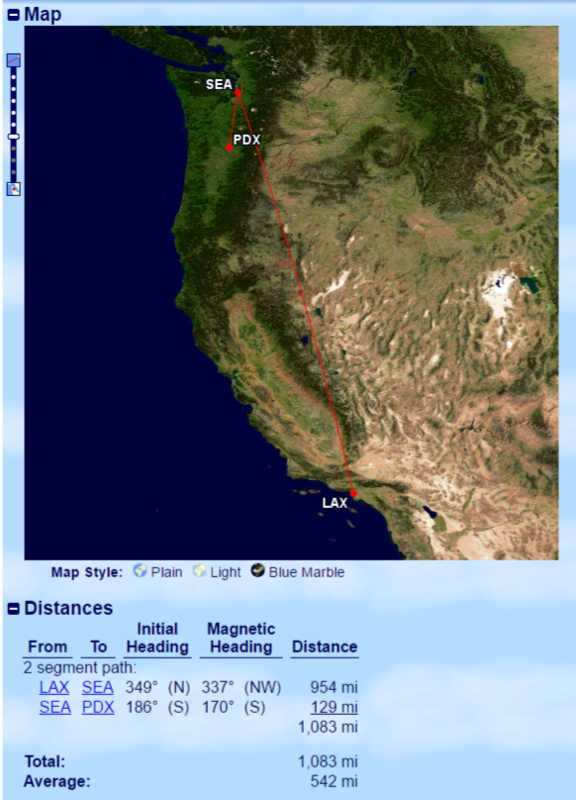 If we take a look at the distance map courtesy of gcmap.com the LAX-SEA sector is 954 miles which equals 60 SC, and the SEA-PDX sector while only 129 miles and about 30 minutes in the air, nets an extra 40 SC. As you’ll see from this table the complete return trip was able to produce 200 Velocity status credits at a earn rate of just over NZ$3 per SC (I’ve used a straight NZ$1 = US$0.70 exchange rate for simplicity). Now that I had two days flights taken care of I had to set about filling up the rest, with the impressive SC earn rate of the two sector LAX-PDX flights I had considered just repeating that, however I thought I needed to find something a bit more adventurist and long distance. With the large number of US carrier flights to the Caribbean and Mexico I decided to focus my attention on that area. After a bit of playing with departure dates and times I found that Aruba was by far the best option both in terms of cost at US$836 return in first class and number of sectors, 3 sectors with 2 connections in Salt Lake City and New York’s JFK. My flight time arriving into Portland from Los Angeles would connect well with the departing flight in the evening of the same day. The example above shows an overall travel time of 27 hours however the actual total travel time of my flights was only 17 hours with a red eye into JFK. The connections would have me in Aruba by 2.30pm Friday afternoon and leave me 48 hours to explore and sleep (mostly sleep) before the Sunday afternoon return flights. There are no direct flights to Aruba from Portland and the single connection options are more considerably more expensive and no quicker. Given this I have therefore only displayed the SC earning data from my actual 3 sector trip in the table below. As you’ll see the complete return trip was able to produce 400 VA SC at a earn rate of just under NZ$3 per SC. 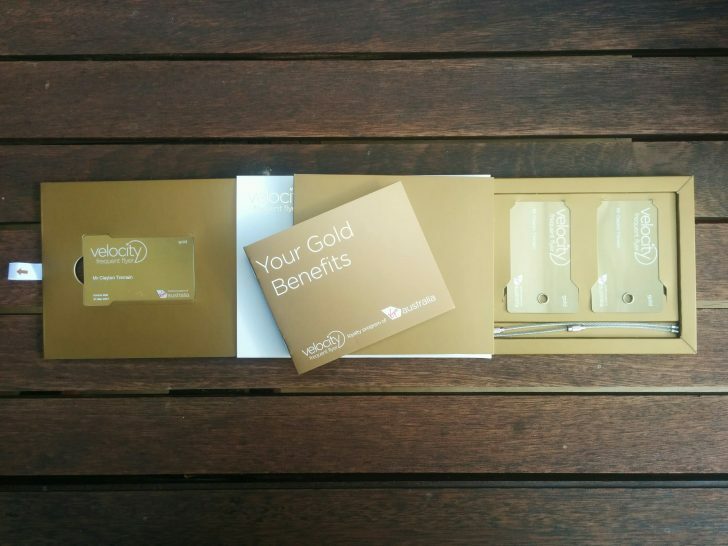 All up I had earned 600 VA status credits for a total cost of NZ$1800, also collected around 20,000 Velocity Points in the process, got well fed and served continual drinks in first class (albeit only US carrier 737 domestic recliner first class). To top it all off I got to spend 2 days enjoying the sunshine in the Caribbean, which was a lot more appealing than flying back and forth between Los Angeles and Portland. For a comparison to the potential Velocity SC earning options around our part of the globe take a look at my Introduction to earning Status with local airlines post, where most SC earn comes in at well over NZ$10 per SC. A simple example of this would be 4 return economy flights across the Tasman with Virgin Australia would likely cost the equivalent of $1800. Auckland to Sydney or Brisbane would net 15 VA SC each way, with Auckland to Melbourne making 20 SC due to the distance falling into the next miles bracket. 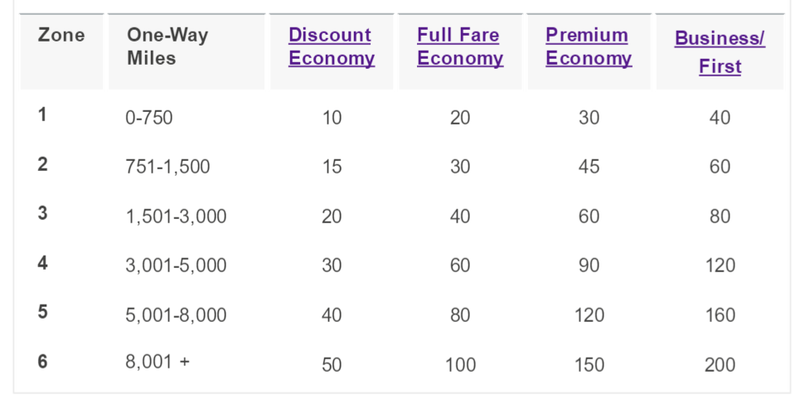 Either way flying direct with Virgin Australia locally would only net 120-160 SC for the same cost. 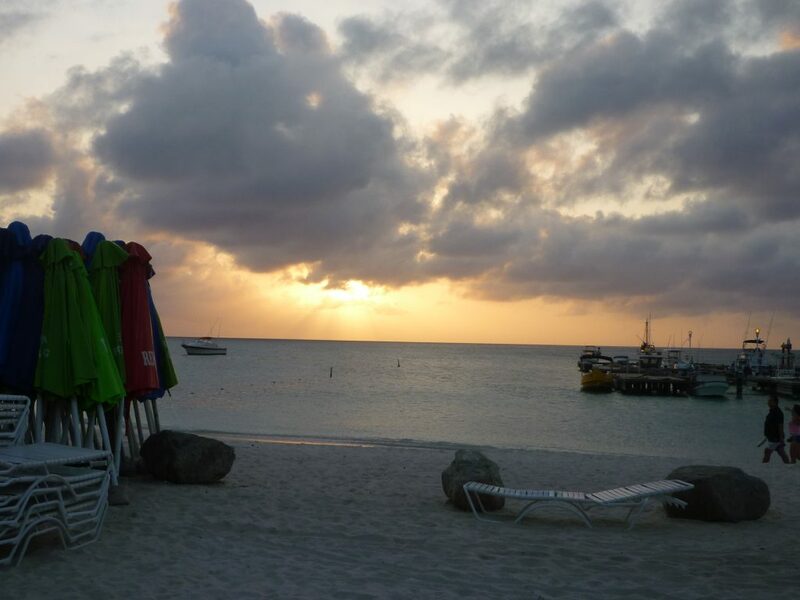 I thought I couldn’t go through this whole detail and not share a few photos of Aruba with you. 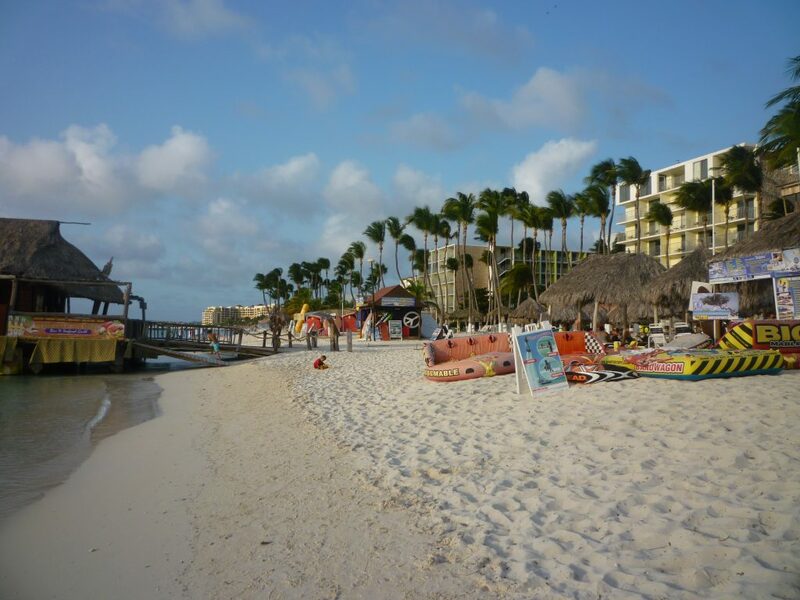 Aruba was warm, a lot warmer than New York where it was snowing at JFK, and everything I expected to find in the Caribbean, including loads of Americans and beach front high rise hotels. The island itself is only 24 km off the coast of Venezuela making the local population an interesting mix of West Indies and Central American, along with a few American adolescents working at the beach and living it up. 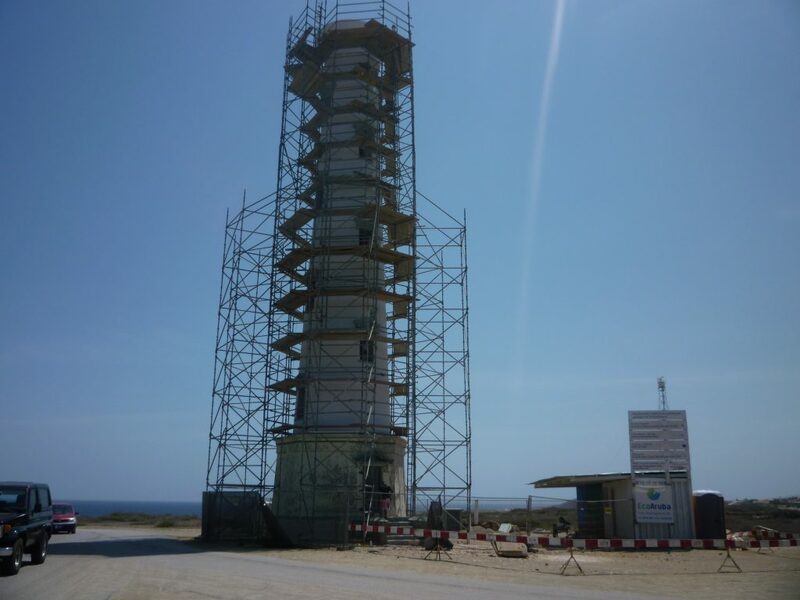 The original lighthouse at the top of the Island and is under going a massive renovation project. It’s a big tourist attraction with open air mini buses ferrying island shirt wearing Americans by the boat load along the gravel road. 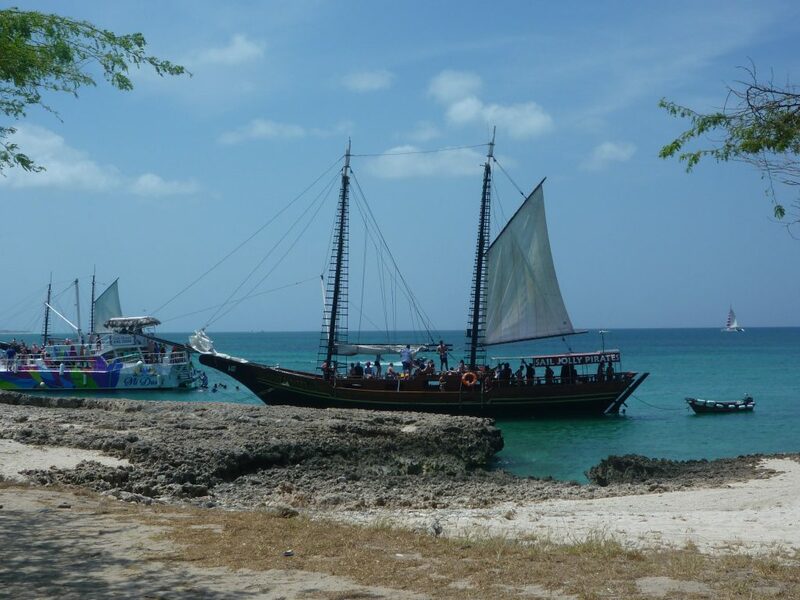 With many shipwrecks around its coastline they really play on the Pirates of the Caribbean theme, and also makes it a popular dive destination. At only a little over 30km long its possible to drive from one end of the Island to the other in less than an hour. 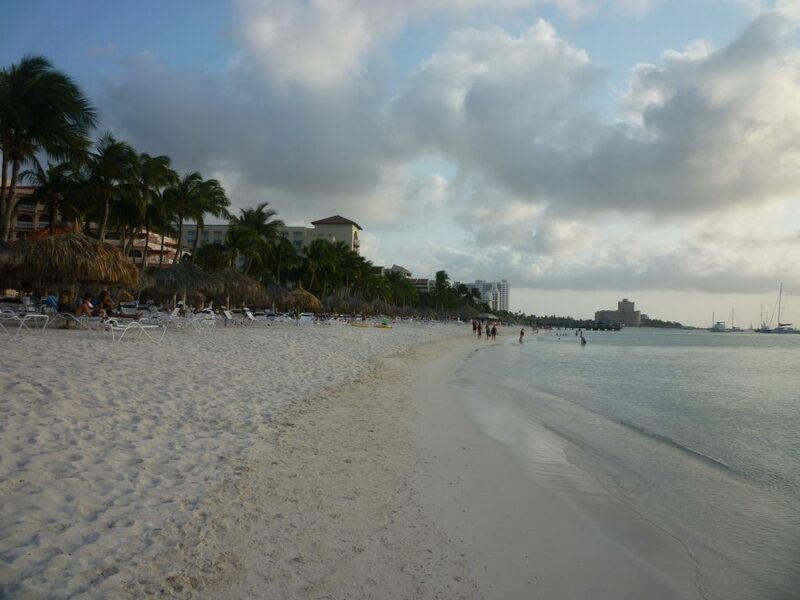 The beaches were very well maintained and covered with sun-loungers in front of each hotel. What I did appreciate though was the fact that the beach front had not been privatised in front of each Hotel, so the public are able to trek anywhere along the beach without being stopped by anyone. Around all my catching up on sleep, I didn’t get to lye on the beach, but I was able to spend one afternoon down at a local bar on the beach to enjoy a couple of cocktails (when in the Caribbean!) with dinner while watching a glorious sunset. As I stated in my original US Status Run post, I’m not advising someone to just head off to the US and do a status run. My main point of this exercise is to arm you with information about how you can utilise any potential trip you have planned or are planning to the US, to investigate and ensure you are maximising the best SC earn options while you have them. If you always or mostly fly business class anyway then the extra effort may be of no relevance to you. 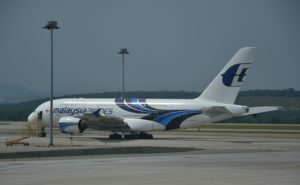 Don’t just book your connecting flights with them at the same time. 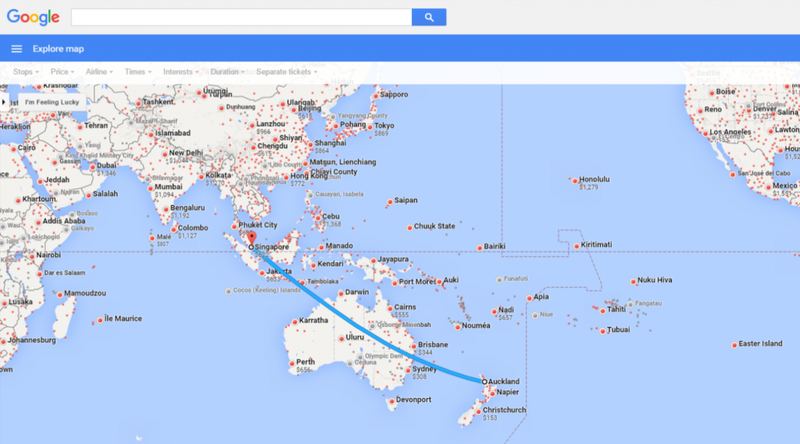 Do a bit of research through Google maps and with US booking sites like Orbitz or Priceline. You may find that you can access flights options to your required that are not only in a better cabin class for little or no more extra than the local airline is adding to the ticket price, but also the extra SC earn may make the difference to making elite status for the next year.